Today at our Harvest Service we were delighted to have James Thompson as our special guest. James has served on our Governors for over twenty years and has been a great support of the school during this time. The Governors presented him with a gift to thank him for his contribution to our school. 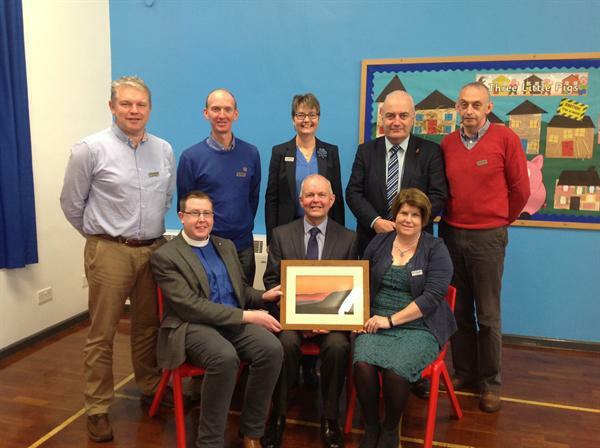 James will be missed at our Governors' meetings but we know he will continue to support our school. Our pupils were stars today at our Harvest Service today. 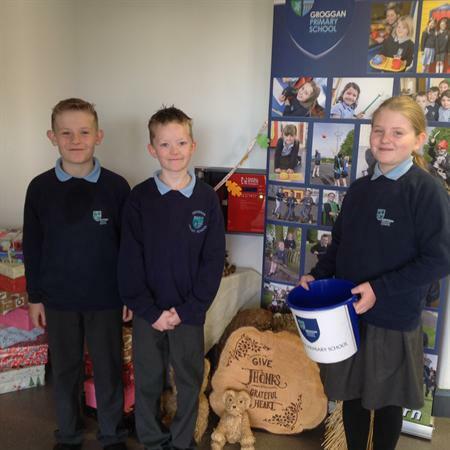 Thank you to Rev Jonathan Sloan for speaking to us all and to all our parents and friends who supported the event. 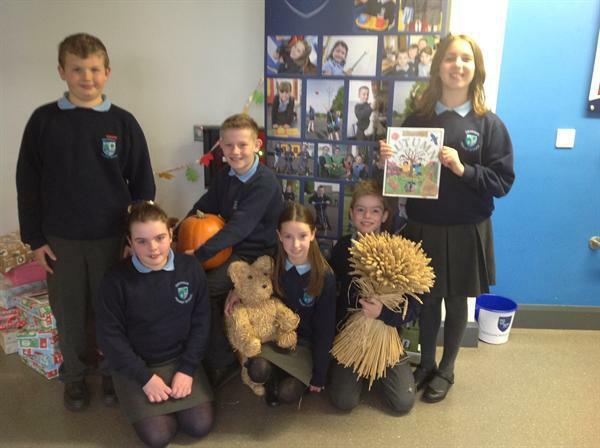 Thank you to Mrs Weir who loaned us some fabulous Harvest resources for our display. 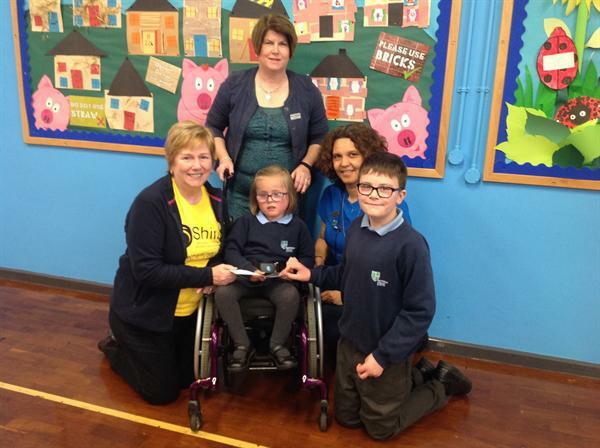 We made a presentation to Cathy from the Shine Charity for £400 which was the proceeds from our Harvest Service. 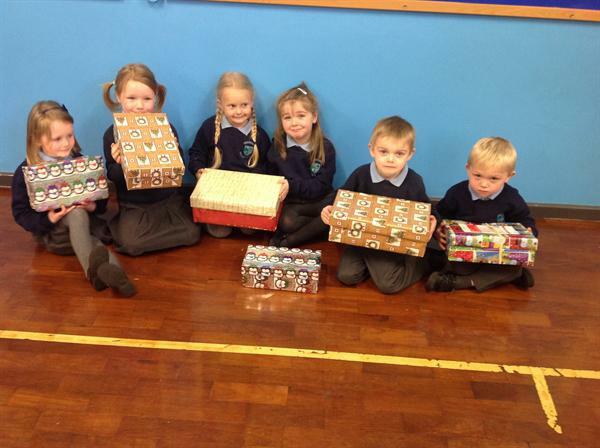 We also were able to send a number of Christmas Shoe Boxes to Bylthswood Care to help boys and girls in other countries. We also gave lots and lots of children's books to help children in Malawi.